Popular toys that can damage your child's hearing 2018 ~ SOUND IS FUN! The Sight & Hearing Association has released their 2018 list of noisy toys. 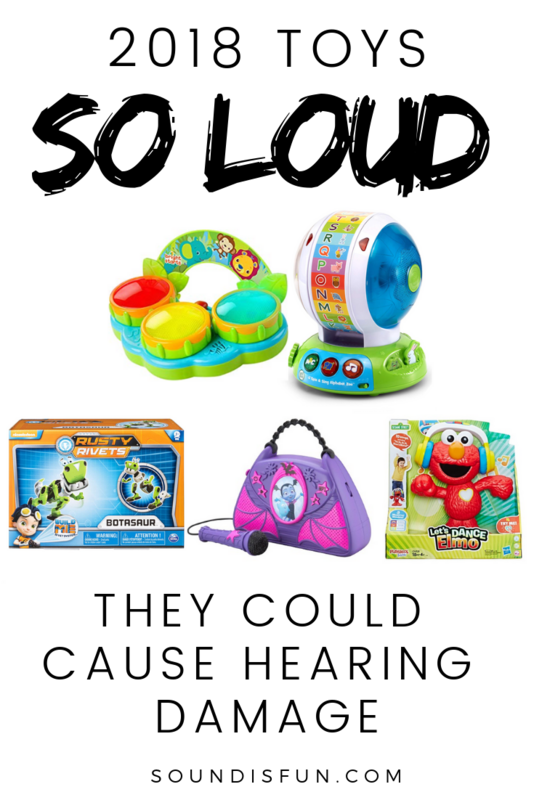 These aren’t just toys that are annoyingly loud, though. These are toys that have been tested and found to be so loud they could cause hearing damage. The worst offender this year is toy for infants. They’re also toys you can find at common retailers like Amazon, Target, and Walmart. How do these toys make it on the market? All toys have to undergo acoustic testing and meet requirements. These requirements are set by the American Society of Testing and Materials, or ASTM. The problem is ASTM tests toys at a further distance – 50 cm or nearly 20 inches. What kid plays with their toys 20 inches away? What baby isn’t going to put a toy up to their face, in their mouth, and near their ears? What makes it too loud? There’s a couple factors to when hearing damage can occur: how loud the sound is, how far away it is, and how long you have it at that distance. How loud: The threshold for safe sound for adults is 80dB. Anything below this will not cause hearing damage. But, young children’s hearing is more sensitive than adults by almost 10 dB because of the length of their ear canal. How far away: The further away sound is from your ear, the lower the level will be. In the list of loud toys, you’ll see the dB level found by testing at 0 inches then 10 inches. How long: When hearing damage will happen is a matter of how long you’re exposed to the loud sound. The top offenders this year were 102 dB which is 15 minutes of exposure at close distance. For 20 years, the Sight & Hearing Association has released a yearly list of toys that are the worst offenders. The toys have been tested from a real-world distance (0-10 inches, which is about a child’s arms length away). Write a review of the product and reference the list. Most parents have no idea these toys are a risk. Trust your gut. If you put it near your ear and it’s uncomfortable, it’s probably too loud. Here’s more on how to tell if a toy is too loud.